The UPTET results will be available on the official webpage till January 7, 2019. As per the notification, the Upper Primary result would be declared on or before December 12, 2018. This year, around 33 percent candidates have cleared the examination. Out of approximately 11 lakh around 3, 66, 285 candidates have cleared the UP TET exam 2018. Step 1: Log on to the official website upbasiceduboard.gov.in. 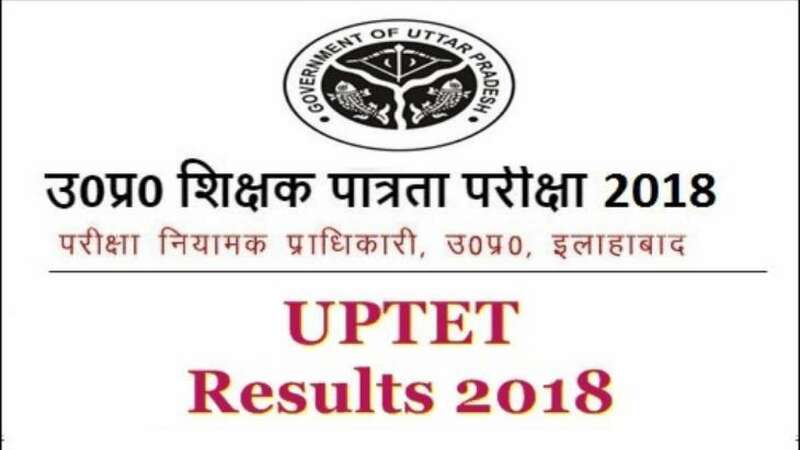 Step 2: Click on the link that says "UPTET 2018 results for upper primary and primary teachers." Step 6: Take printout of the results for future reference. To recall, the UPTET exam 2018 was held on November 18, 2018 in two shifts. Around 17, 83, 716 candidates applied for the exam in both the shifts but only 16, 73, 126 candidates came for the exam and 110590 candidates were absent. Successful candidates can now prepare for the upcoming teacher's recruitment exam to be held in the month of January 2019. It is worth mentioning that around 12 questions where the answers were provided by the board are not in line with the candidates. Therefore, they are collecting evidences in support to their answers to file a petition in the court.